Round pole mounting adapter kit for round poles. This fits 3", 4" and 5 inch poles of all kinds and has gaskets included for each pole diameter. 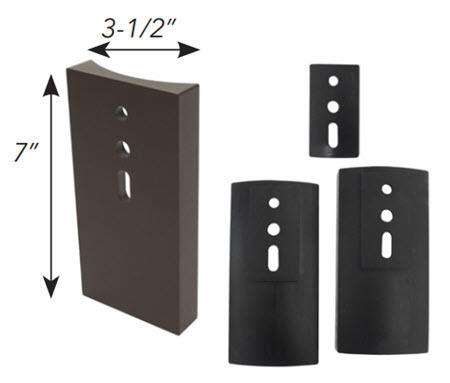 These have a bronze finish and is a pole accessory for mounting a light fixture on a round pole. It's made to last and creates a finished look for almost any pole lighting application. - For 3, 4 or 5 inch round poles. - All stainless steel hardware. - Easy, secure light fixture mounting.